According to a report from The Verge, EA has decided to sue social gaming company Zynga over striking similarities to one of its most popular franchises, The Sims, and specifically the “Social” edition. The similarities go well beyond any superficial resemblance. 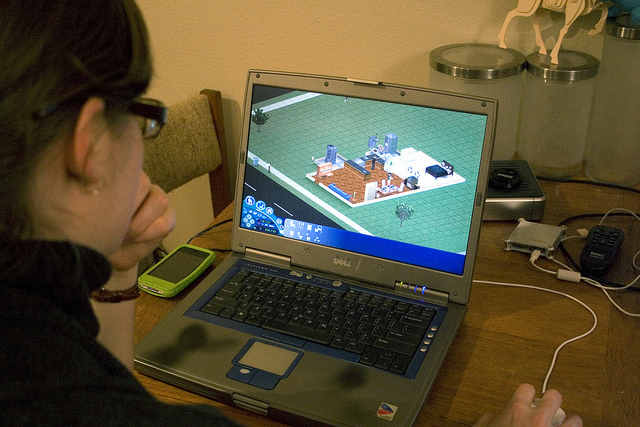 Zynga’s design choices, animations, visual arrangements and character motions and actions have been directly lifted from The Sims Social. The copying was so comprehensive that the two games are, to an uninitiated observer, largely indistinguishable. Scores of media and bloggers commented on the blatant mimicry. The legal reasons are solid. But for creative teams who feel that their hard work and imaginations have been ripped off, there’s obviously an emotional element too. This hasn’t been the best few weeks for Zynga, which recently had its latest earnings call amidst its stock taking a tremendous nosedive. EA has been at this “game” for a long time, and would clearly not move forward with such a lawsuit unless it felt that its case was strong. On the other hand, Zynga didn’t go into announcing The Ville blindly either, so it will be a landmark case for both companies. We’ve reached out to Zynga for comment, and will let you know what we hear back. UPDATE: Zynga’s General Counsel, Reggie Davis, has given The Next Web a statement on the matter.